I recently took my first couple of warm-weather trips of the year to Mexico and then Los Angeles, both of which offer a significant beach culture. But in my opinion, that doesn't make it ok to wear the controversial sandal style I kept seeing on people's feet. If you're thinking flip-flops, we're on the same page. What kills me is that there are so many shoe styles out there that are just as easy and comfortable as flip-flops but are significantly more protective of your feet. I wanted to know how flip-flops rank on the airport practicality spectrum from the experts themselves, so I reached out to TSA spokesperson Lisa Farbstein and Delta travel agent Stacey Townsend. Farbstein pointed out that while you can certainly wear flip-flops to an airport, "Even though they are thin-soled, they still will need to be removed at the TSA checkpoint, which typically means bare feet on the floor." So making the security process easier certainly isn't a valid reason to wear them. Townsend told me, "As flip-flops are great to slide on to head down to the pool, as a flight attendant, they are not my footwear of choice when exploring a new city. They offer no support, which is basically my worry." I asked what she thought of wearing them to the airport and flying in them, to which she responded, "I mean it's sort of gross. There are so much bacteria. Wearing flip-flops, you can get blisters and then bacteria can get into your feet." Yikes, right? If you really want to wear rubber sandals, go with pool slides instead. Even better, wear them with socks (it's okay—it's cool now). You truly can't go wrong with just wearing a pair of cool sneakers to the airport. 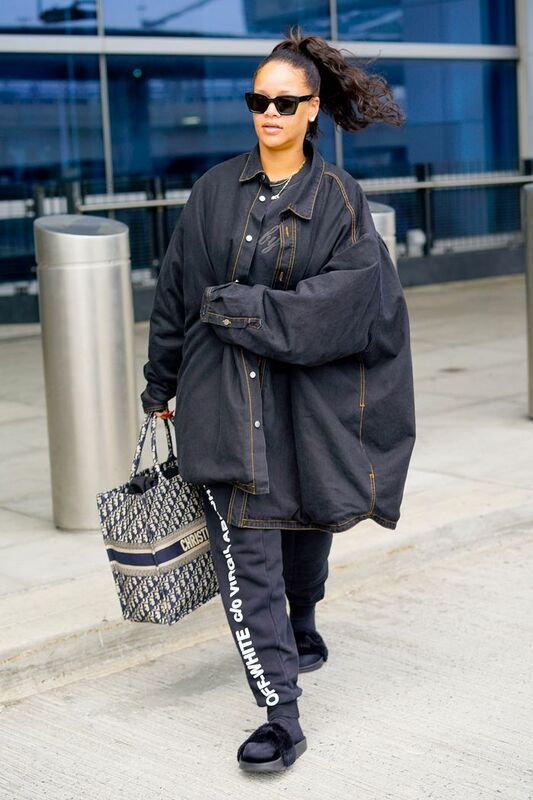 Next, ten impressive airport outfits I'd actually wear next time I travel.